The characters within these fifteen stories are in one way or another staring into the abyss. While some are awaiting redemption, others are fully complicit in their own undoing. We come upon them in the mountains of West Virginia, in the backyards of rural North Carolina, and at tourist traps along Route 66, where they smolder with hidden desires and struggle to resist the temptations that plague them. A Melungeon woman has killed her abusive husband and drives by the home of her son’s new foster family, hoping to lure the boy back. An elderly couple witnesses the end-times and is forced to hunt monsters if they hope to survive. A young girl “tanning and manning” with her mother and aunt resists being indoctrinated by their ideas about men. A preacher’s daughter follows in the footsteps of her backsliding mother as she seduces a man who looks a lot like the devil. A master of Appalachian dialect and colloquial speech, Monks writes prose that is dark, taut, and muscular, but also beguiling and playful. Monsters in Appalachia is a powerful work of fiction. Sheryl Monks is the founding editor of Change Seven magazine. Previously, she was the co-owner and editor of Press 53, an independent literary publisher which she helped to establish in Winston-Salem, NC. She holds an MFA in creative writing from Queens University of Charlotte. Her collection of stories, All the Girls in France, was a finalist for the 2013 Hudson Prize sponsored by Black Lawrence Press. Her fiction has been nominated for New Stories from the South and been awarded a Northwest NC Regional Artist's Project Grant and the Reynolds Price Short Fiction Award. Work has appeared in Revolution John, Black and Grey Magazine, The Greensboro Review, Writer's Chronicle, Midwestern Gothic, Night Train, storySouth, Regarding Arts and Letters, The Toast, Backwards City Review, Southern Gothic online, Surreal South, Fried Chicken and Coffee, and elsewhere. 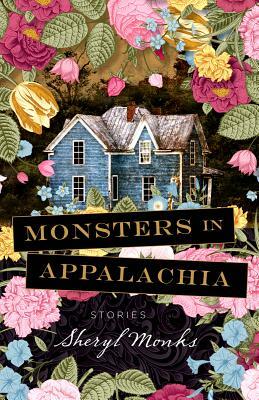 "Monsters in Appalachia is wildly outrageous at times, but there is empathy in these stories as well. Humor and sadness achieve a delicate balance." "A memorable debut: each of these stories is as original and multidimensional as the characters who inhabit them." "A fresh, new voice in contemporary fiction, in stories of teenage angst, bonds of family, motherhood, and contradictions of middle age. Always surprising, these stories conjure both sorrow and mystery with intimate, loving detail." "Sheryl Monks writes with unflinching honesty and deep affection about the Appalachia I know: a place of imminent peril to both body and soul, home to lingering ghosts. Her gorgeous (but never merely decorative) language generously limns the hard mountain landscape as well as the luminously-realized and all-too-human folks who struggle there. This collection brought me home again." "Sheryl Monks's stories are gorgeously written dispatches from Appalachia, telling the difficult truth of what it is to survive in a place that can exact a heavy price. But these tales are generous too, and a particular grace sets on them all." "There’s music in these stories—visceral, rhythmical, soulful, deep. They are siren songs, taking us places we otherwise might not go."